Prepare for an awakening of your designing senses! 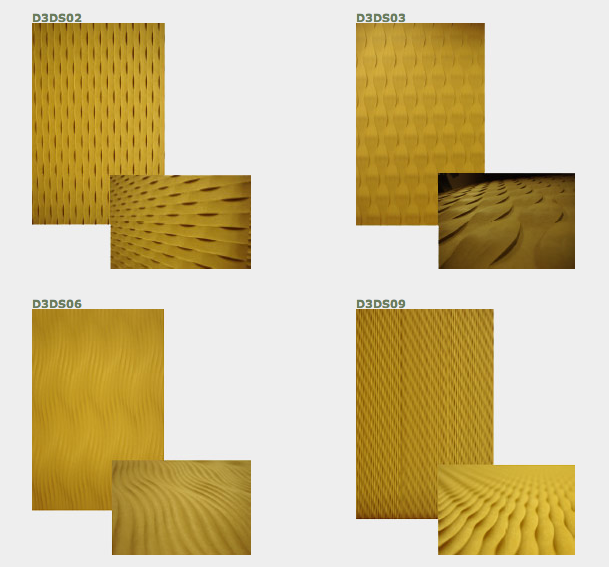 Our new range of D3D panels will definitely impress you with its high class appearance. We can supply the panels, in raw state, painted, lacquered or even covered with a thermoplastic! The possibilities are endless when it comes to colours and finishes. The panels are made with 3/4 MDF (with white melamine backing), sculpted with designed that will leave you breathless. Once the panel is finished and installed, you will not only have an architecturally textured panel but a masterpiece!